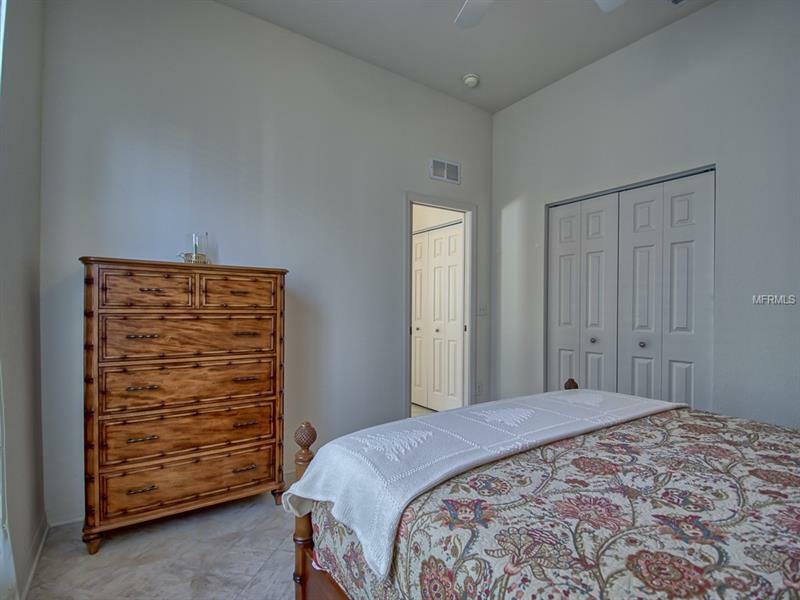 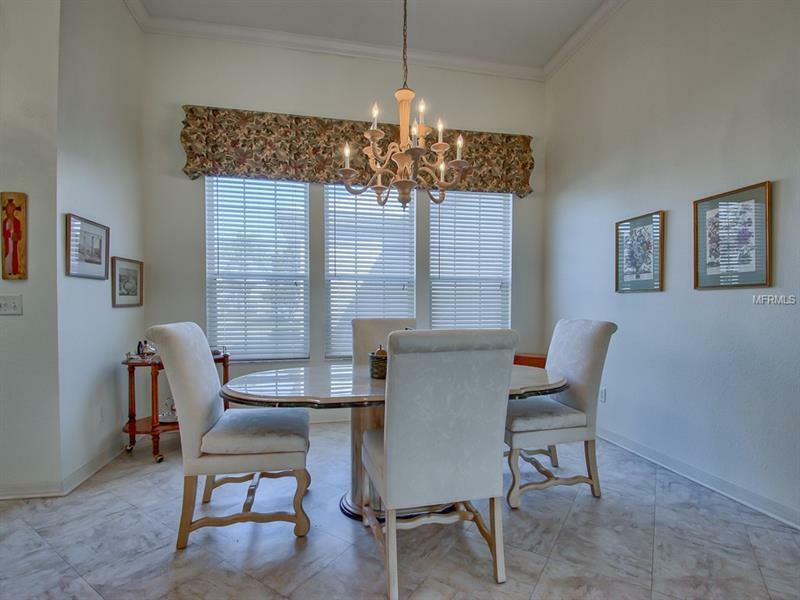 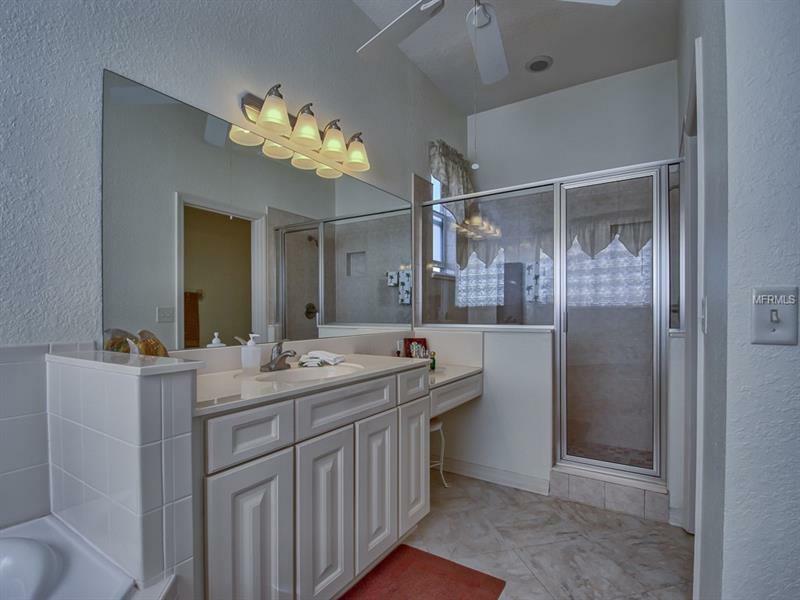 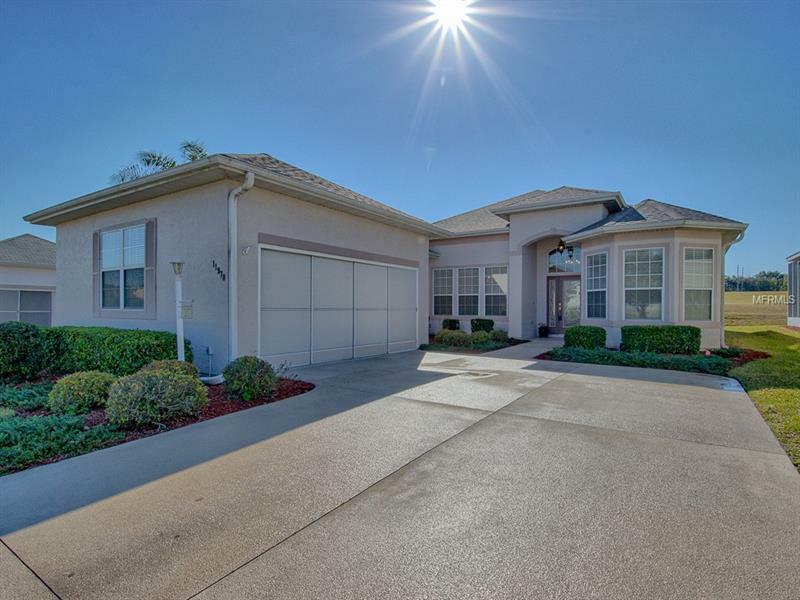 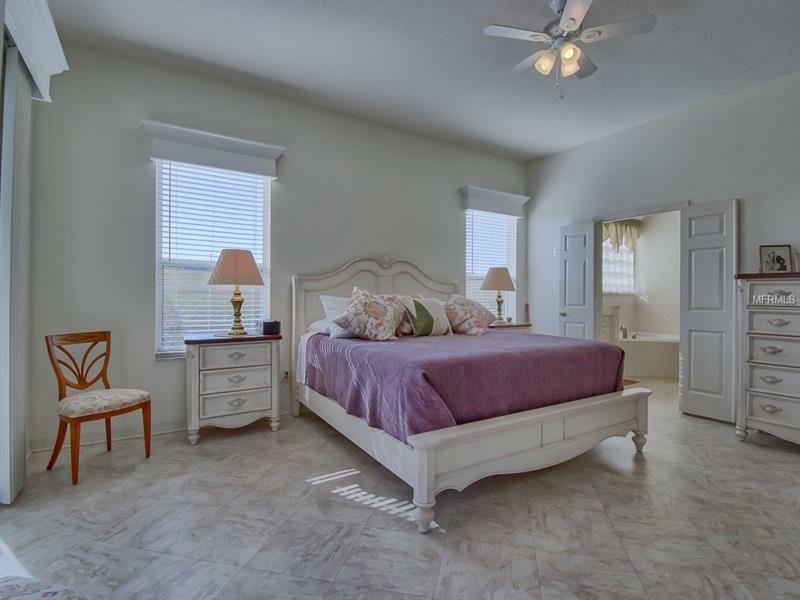 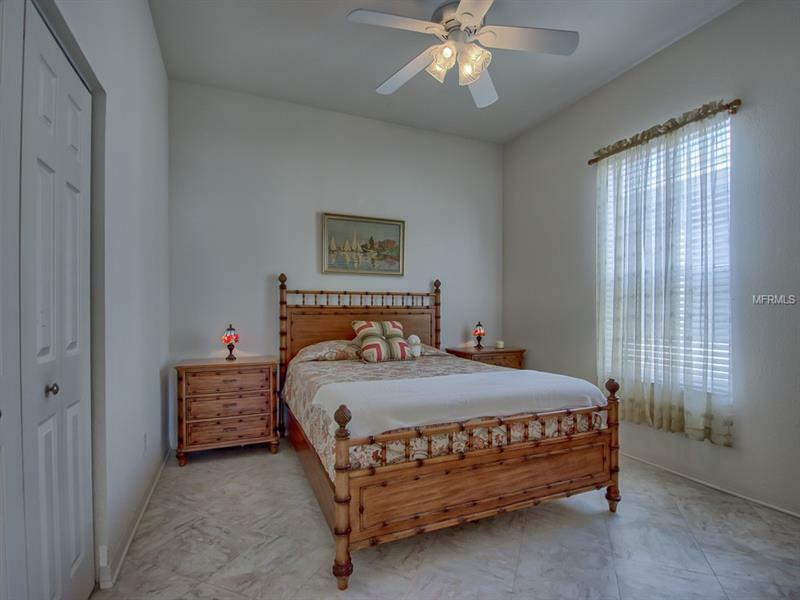 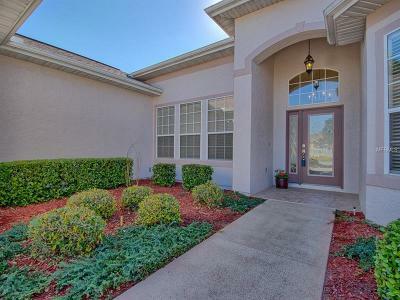 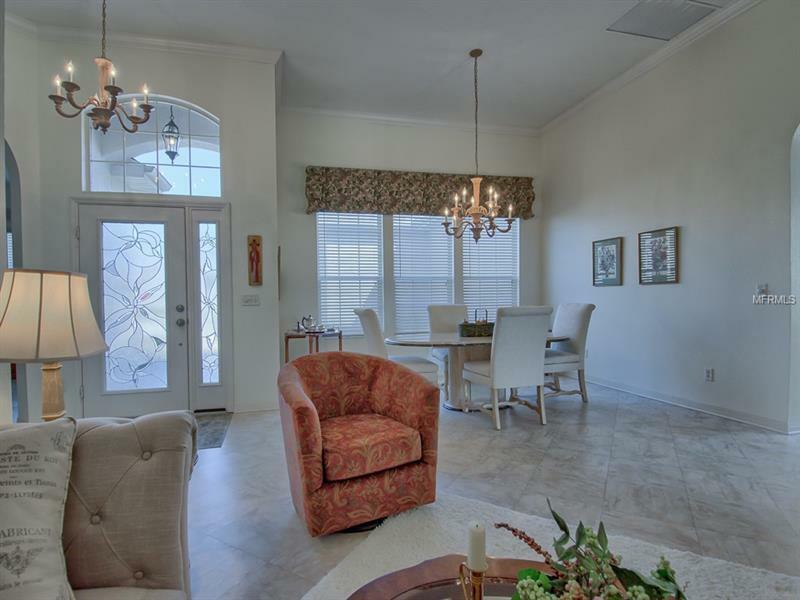 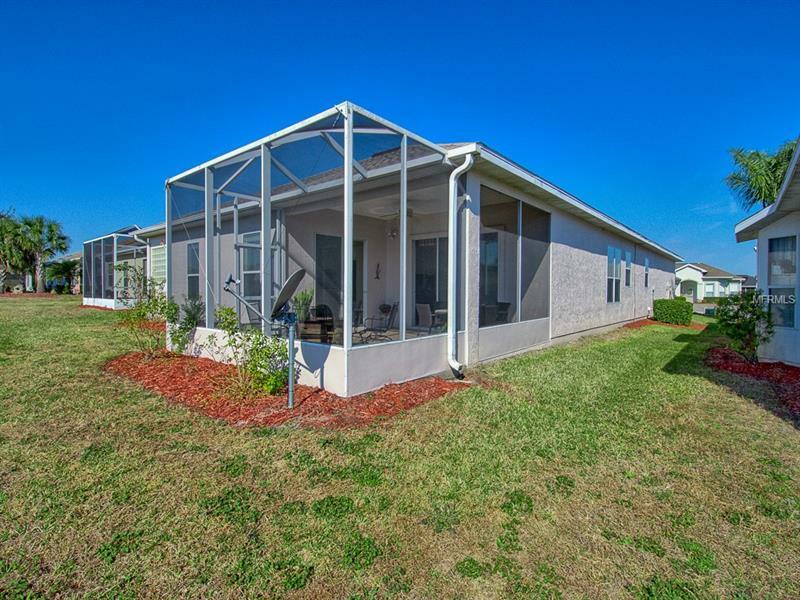 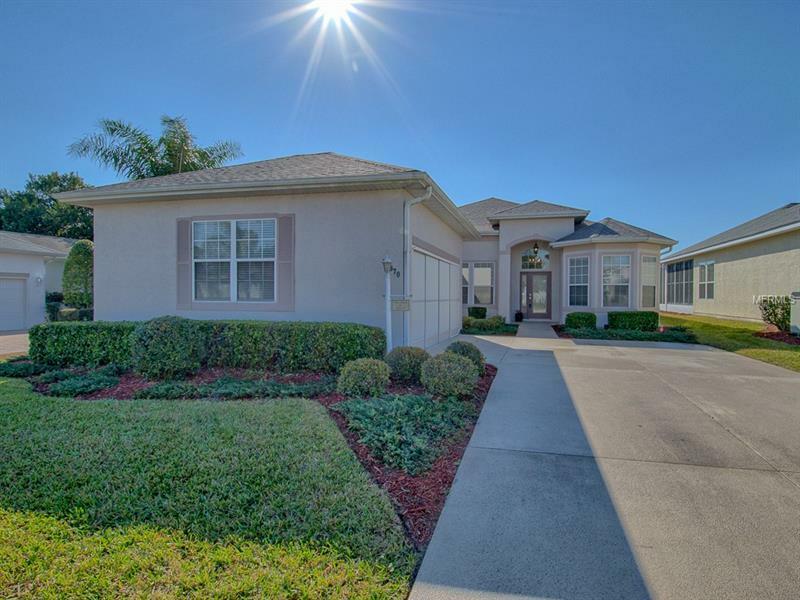 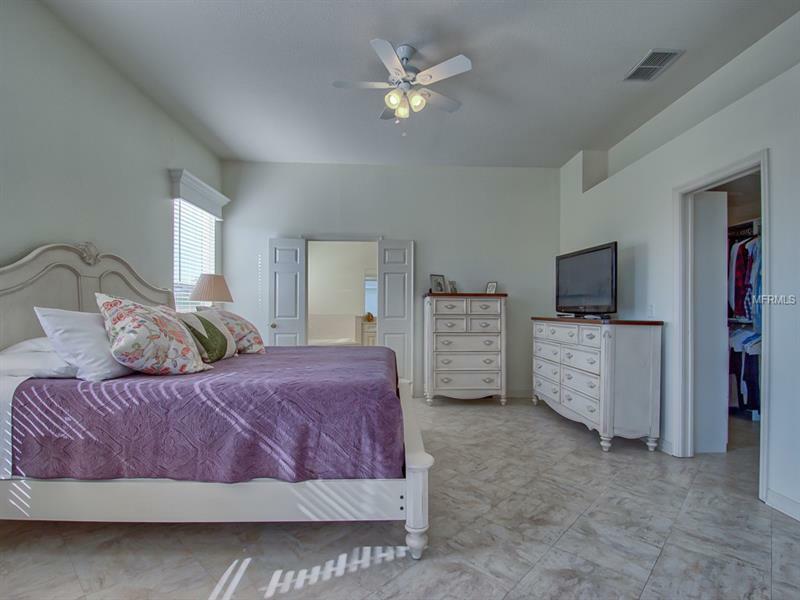 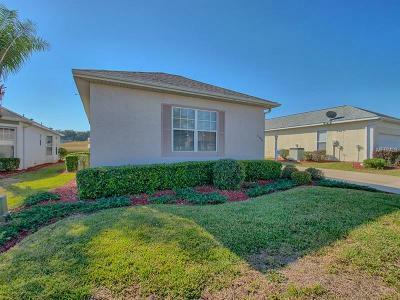 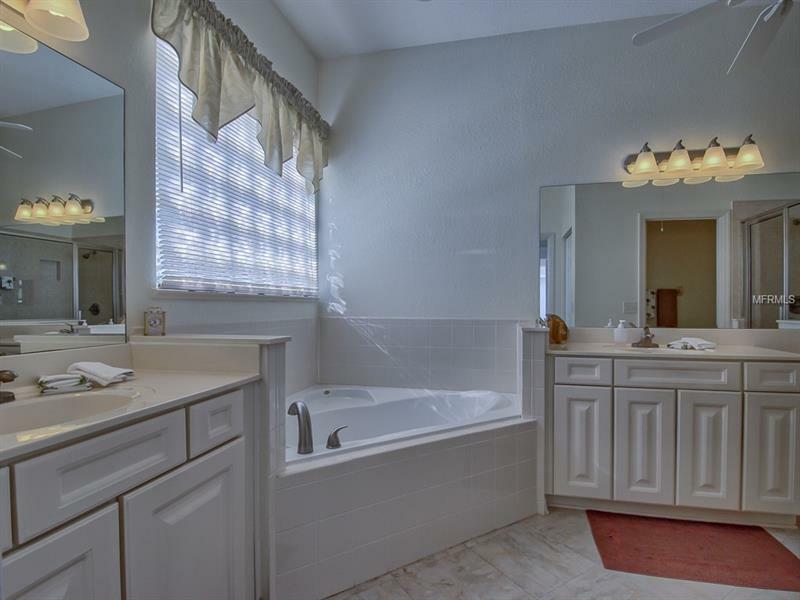 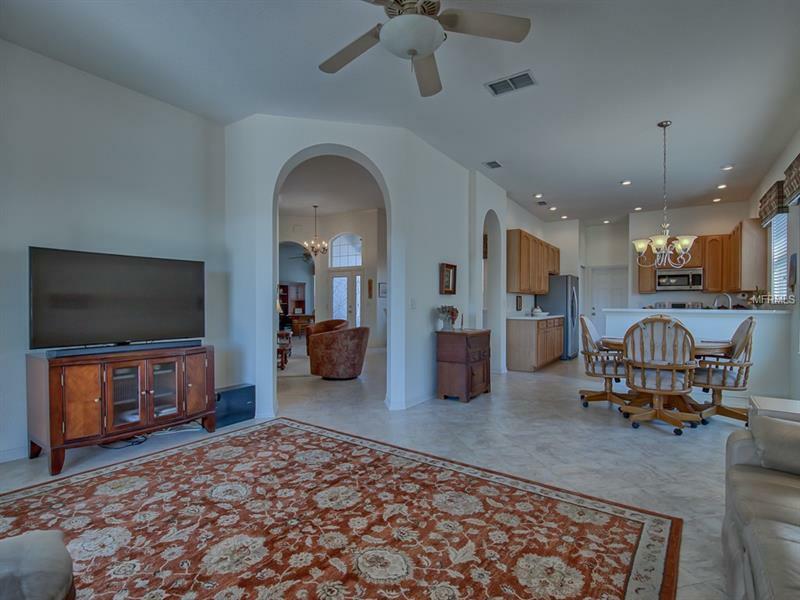 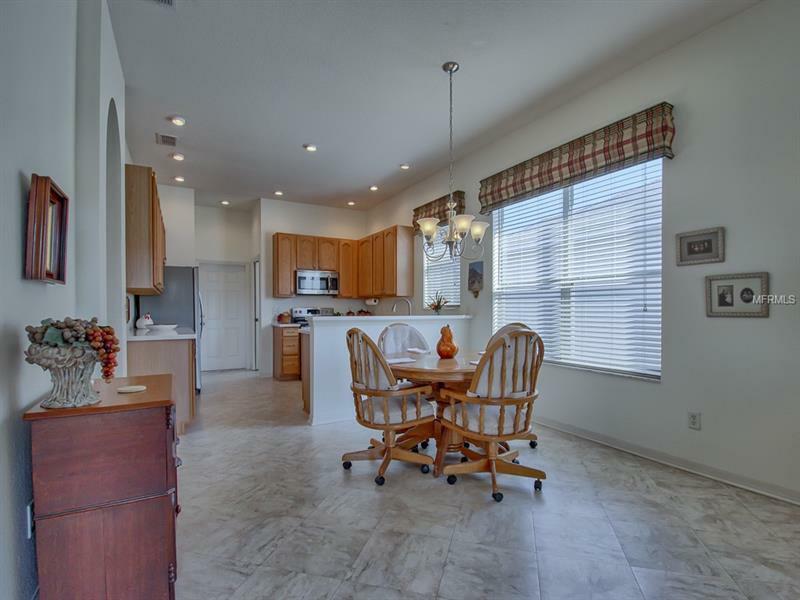 Welcome home to this 3 Bedroom 2 Bath St George Model, located in Stone Crest. 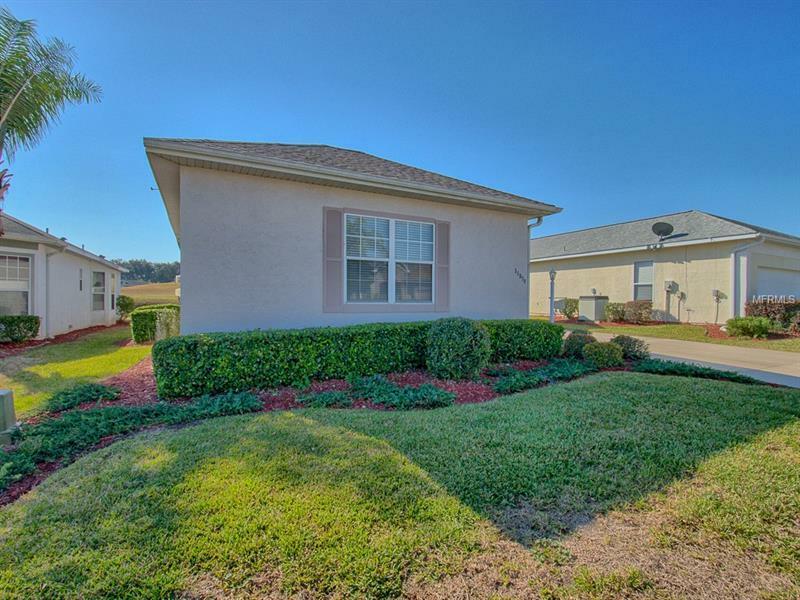 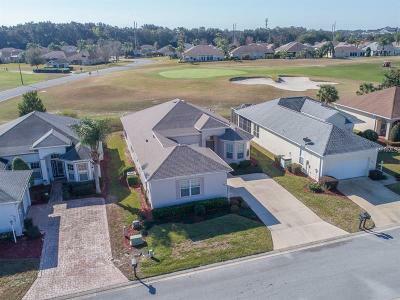 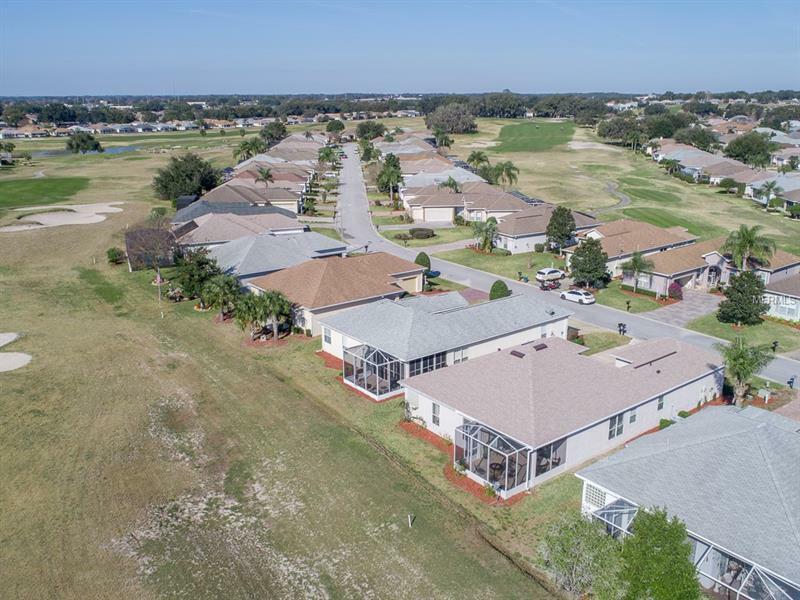 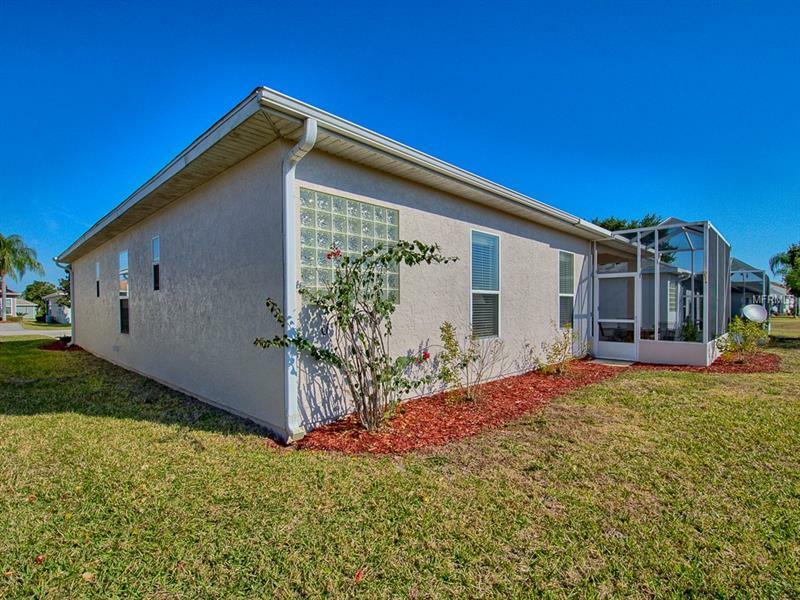 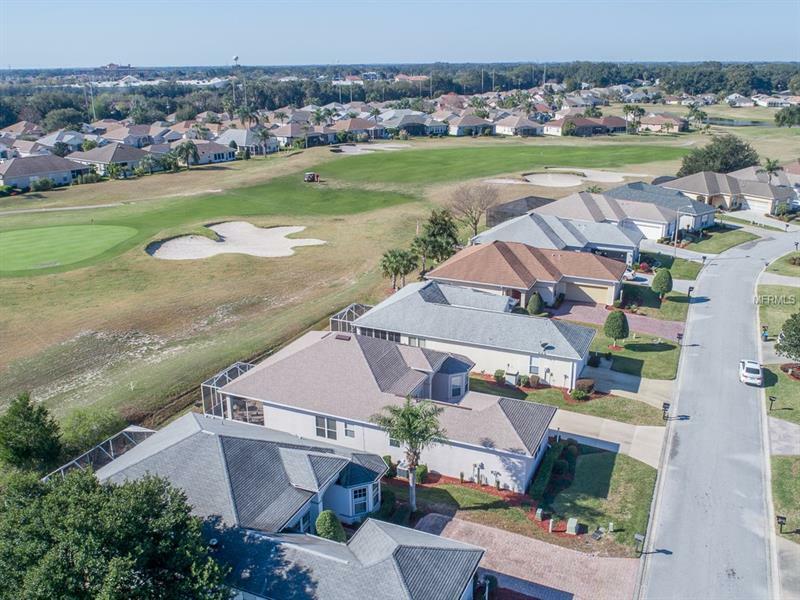 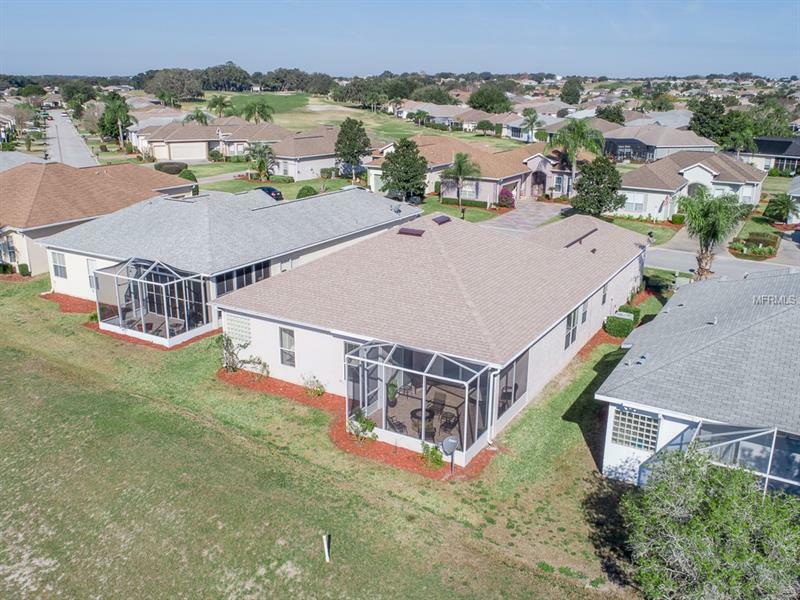 You can sell your mower and go play, as the landscaping is in your low HOA fee! 3rd Bedroom is a den. 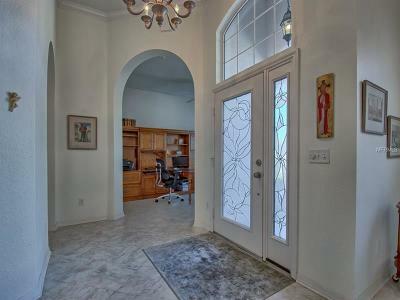 Inside the leaded glass entry, notice Arches enhancing the 12â and 10 âceilings, plus easy care Mannington Floors throughout. 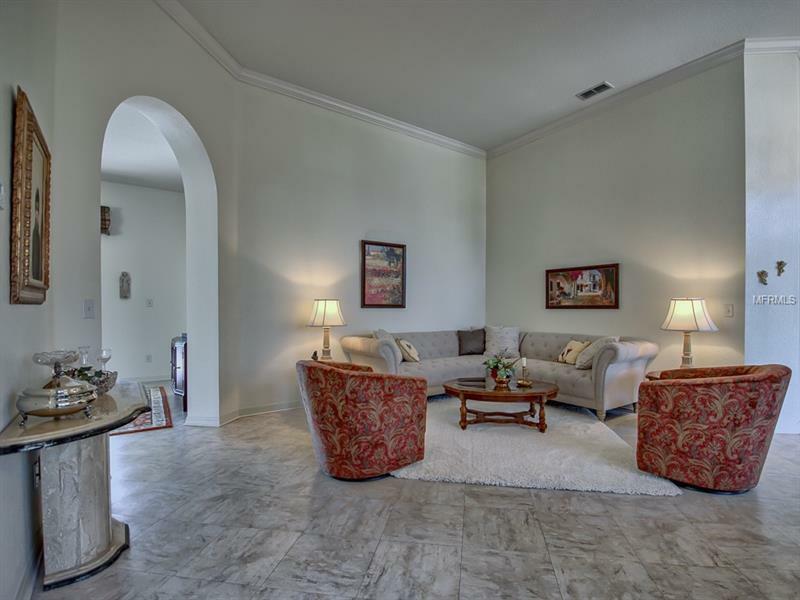 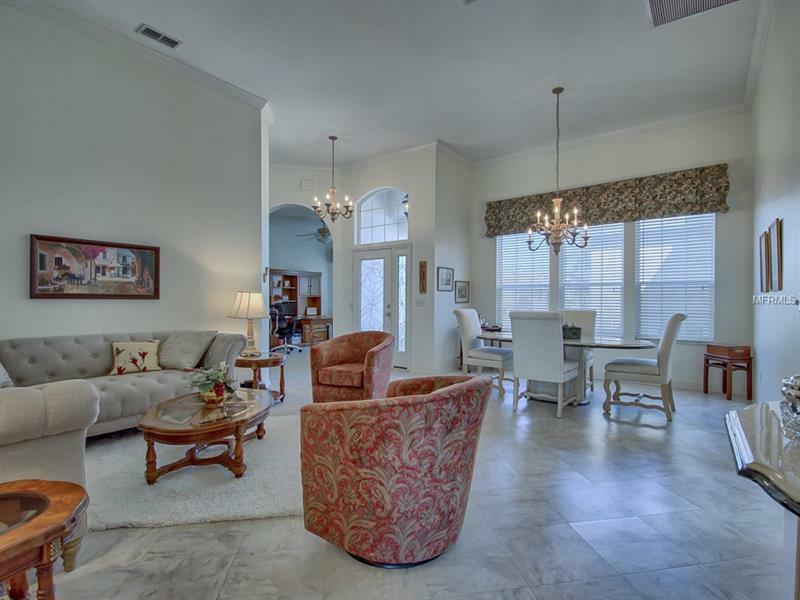 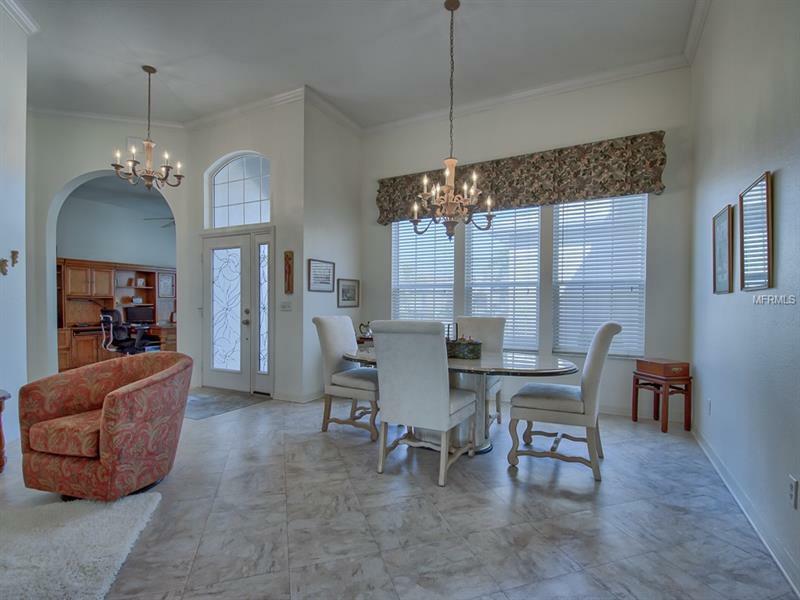 Crown molding in formal living area separates the formal from the more informal living spaces in this beauty. 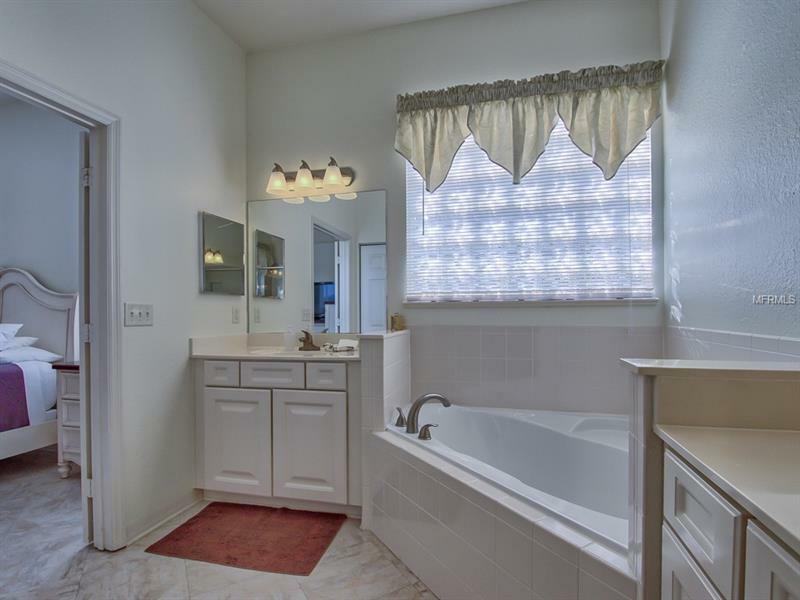 This split bedroom plan offers an En-suite bath with dual vanities, garden tub, walk-in shower w/seat, toilet room plus linen closet. 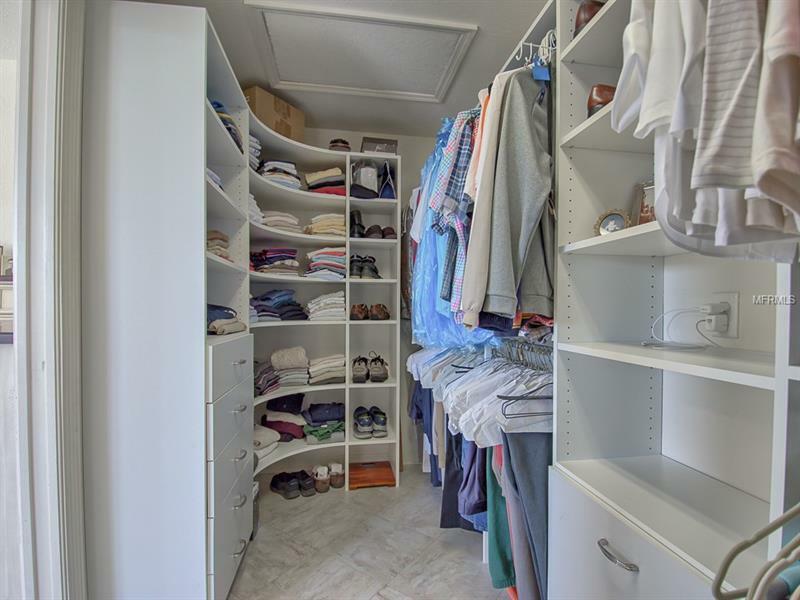 Completing the Master is a designer closet, with lots of drawers/storage, laundry deposit, even a device charging station. 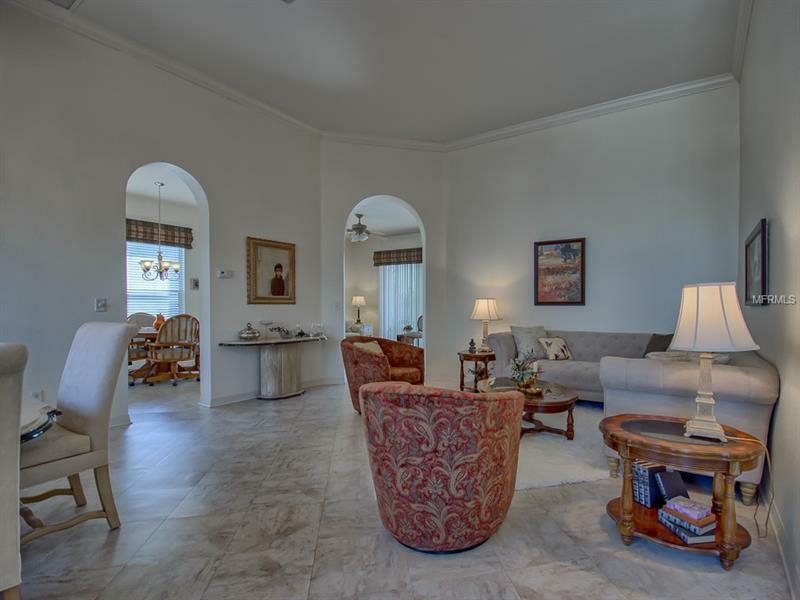 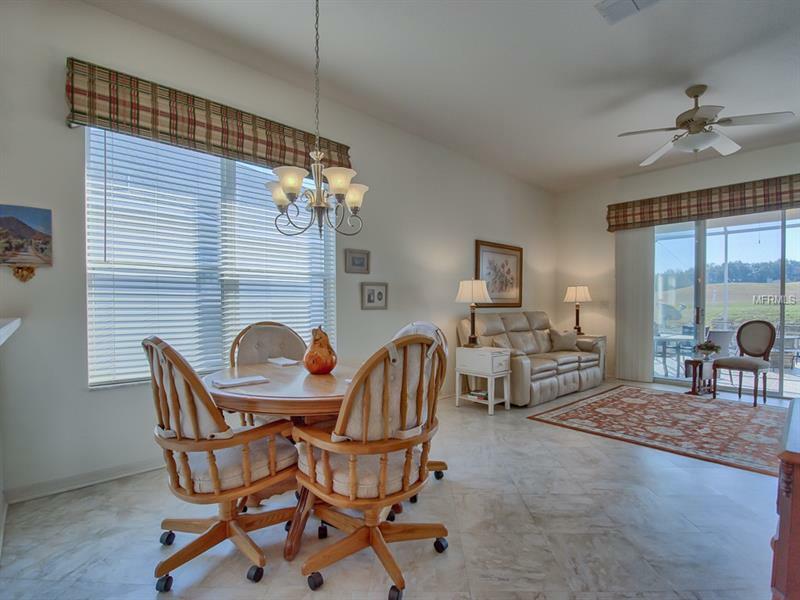 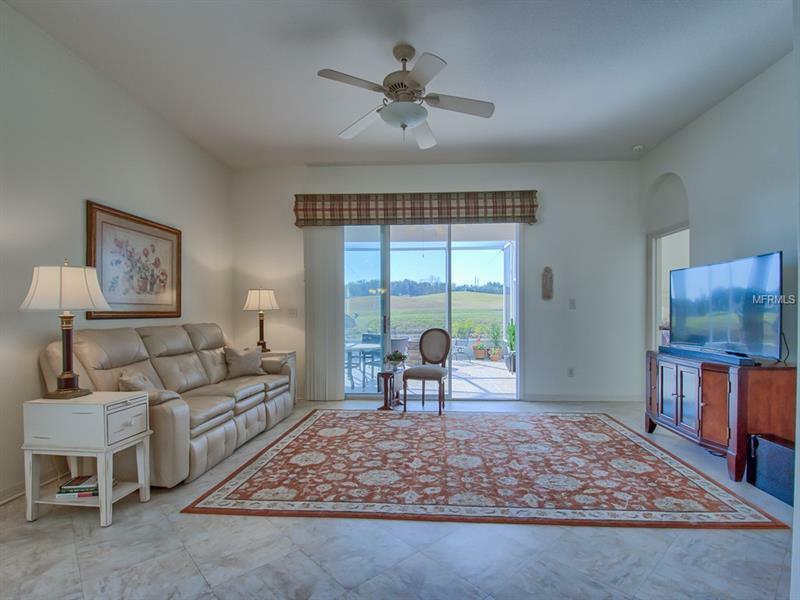 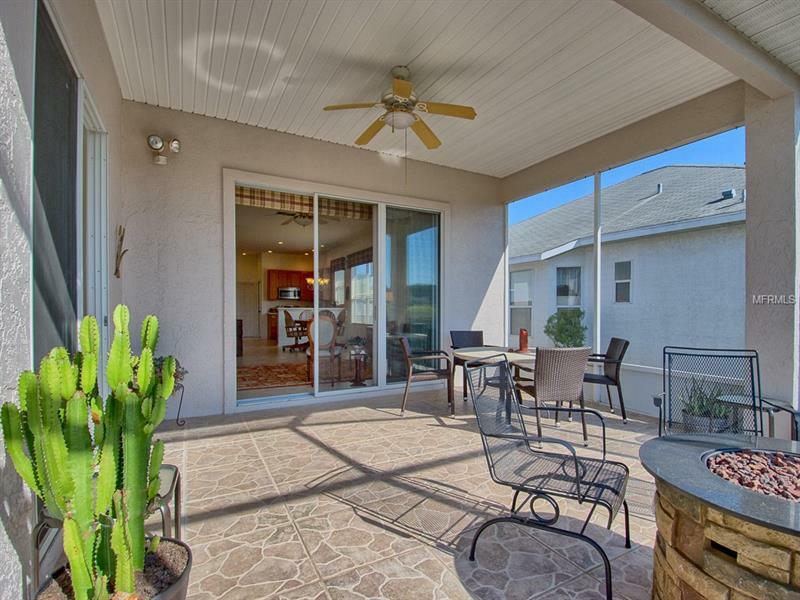 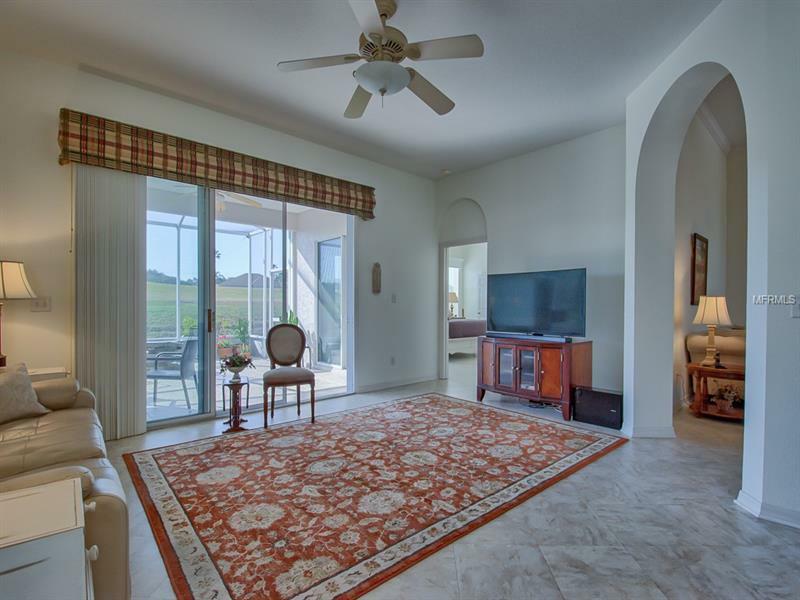 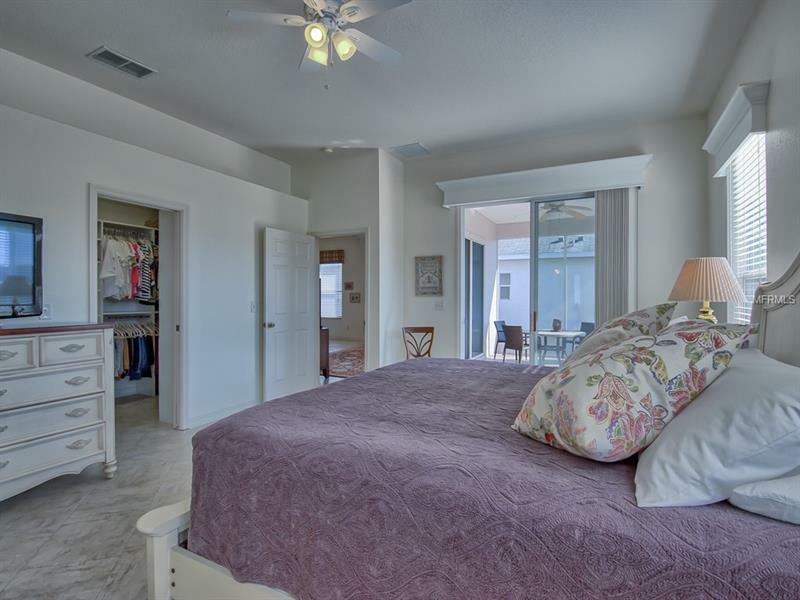 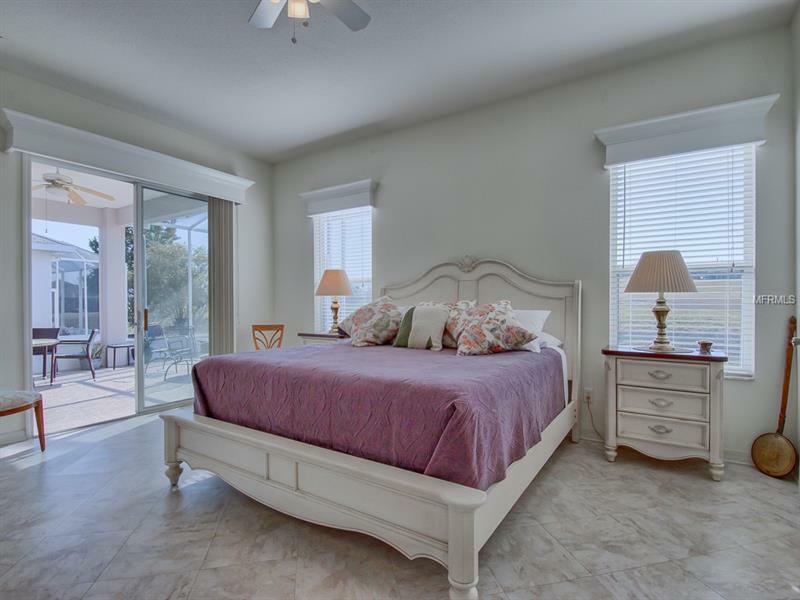 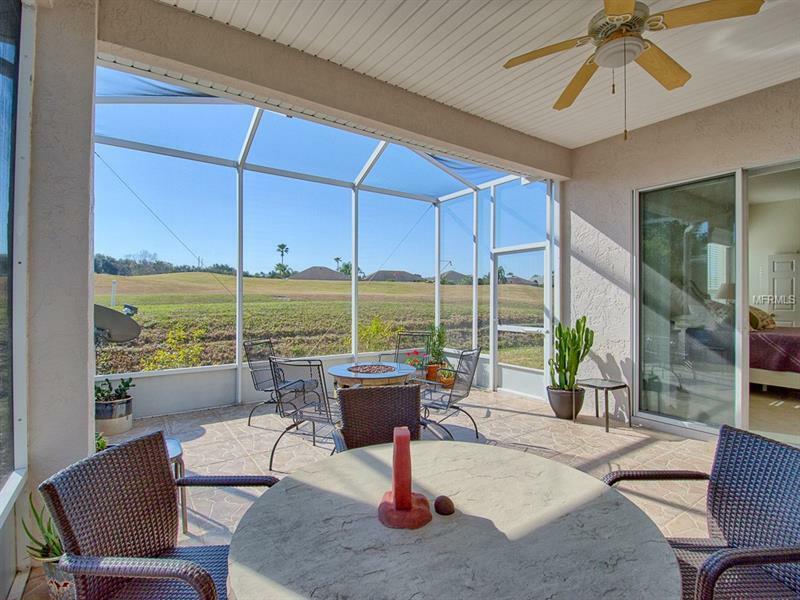 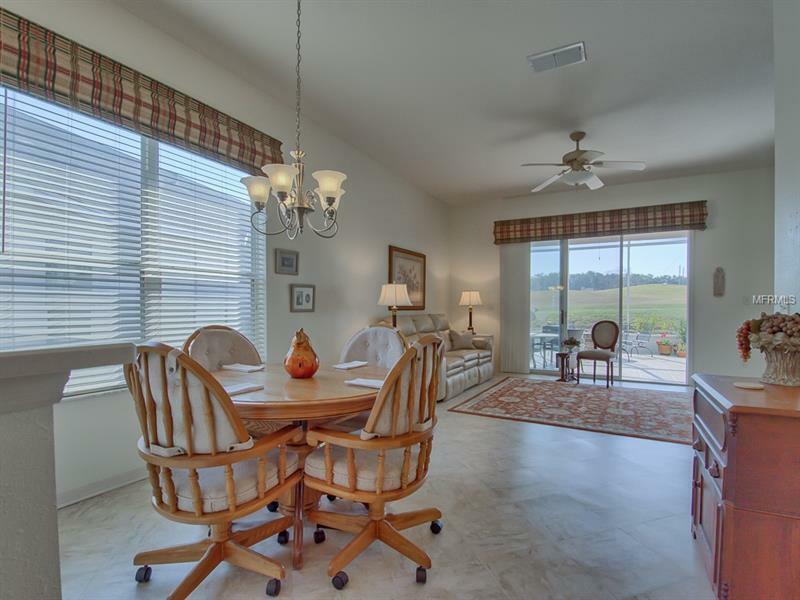 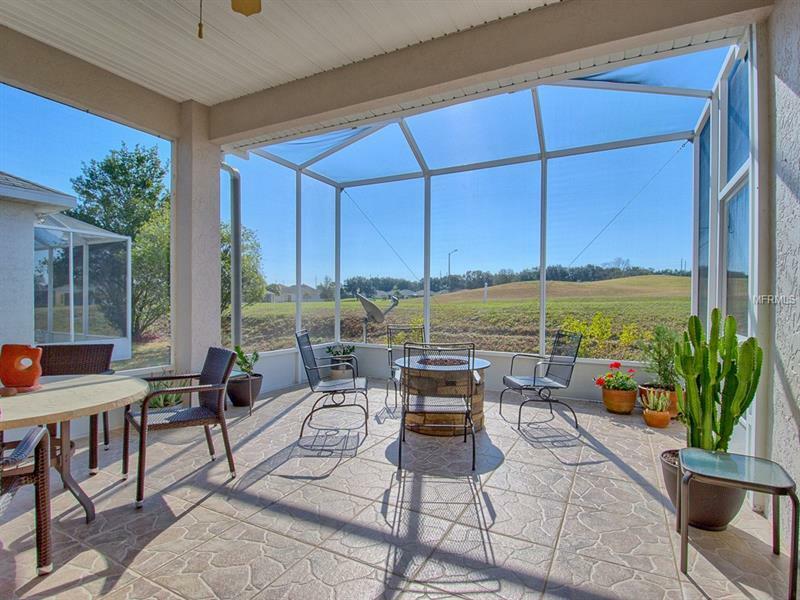 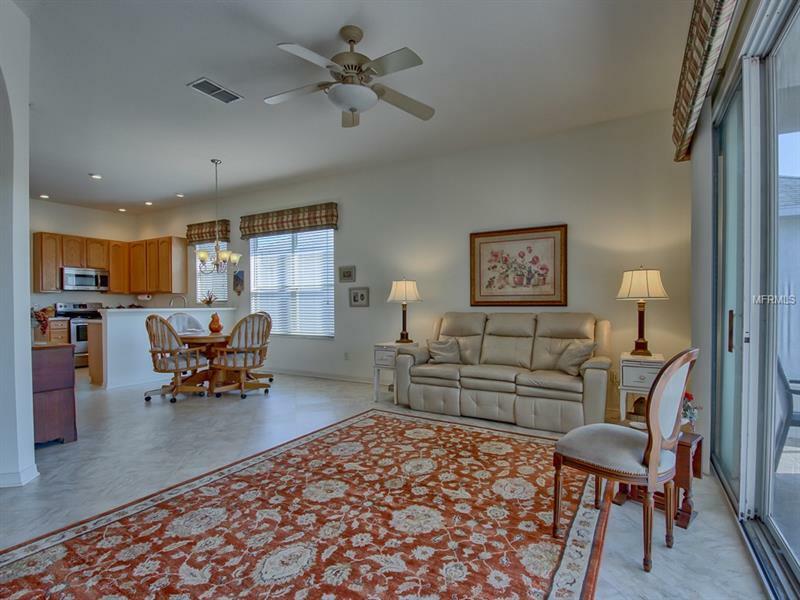 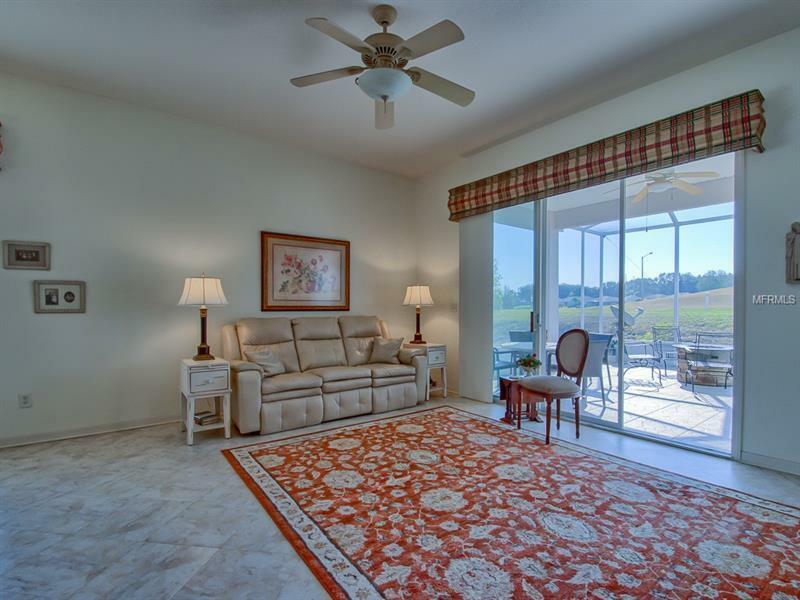 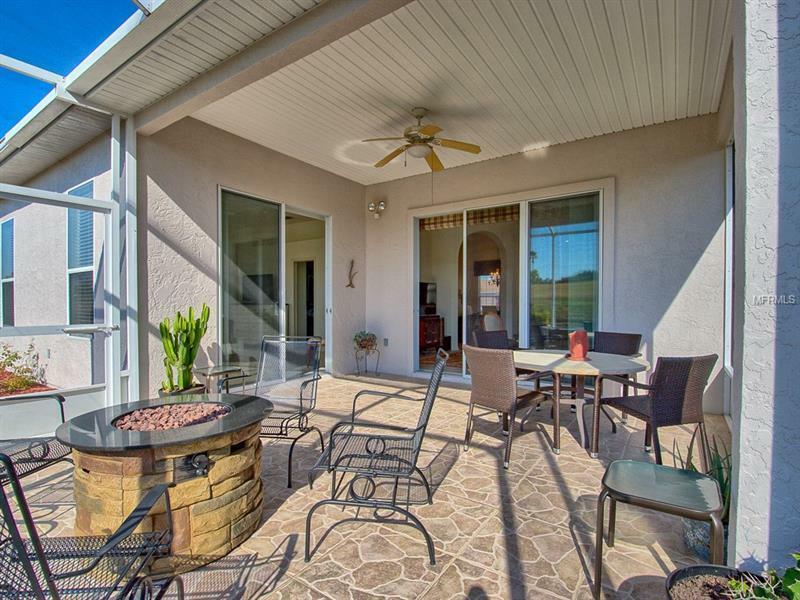 Come, Sit, Enjoy the covered lanai and birdcage on the third green of the golf course. 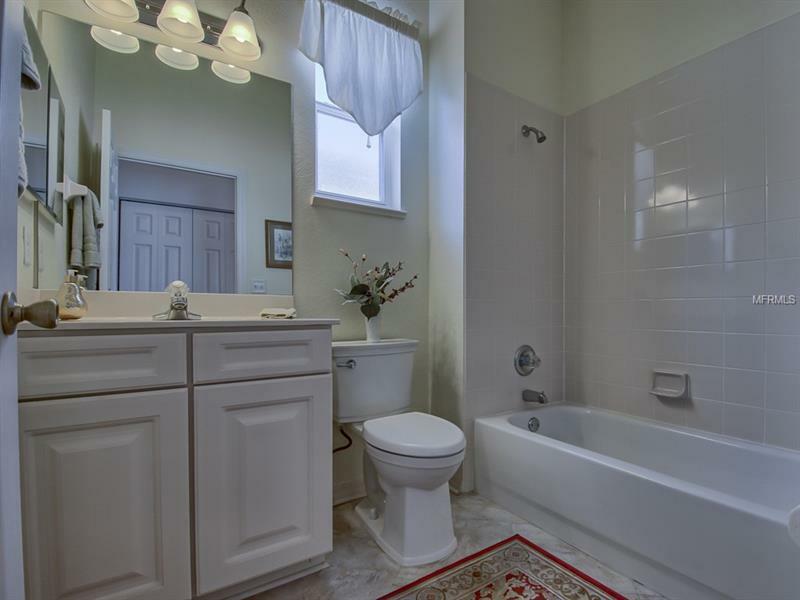 You will agree, it is truly, âPrivacy in Plain Sightâ. 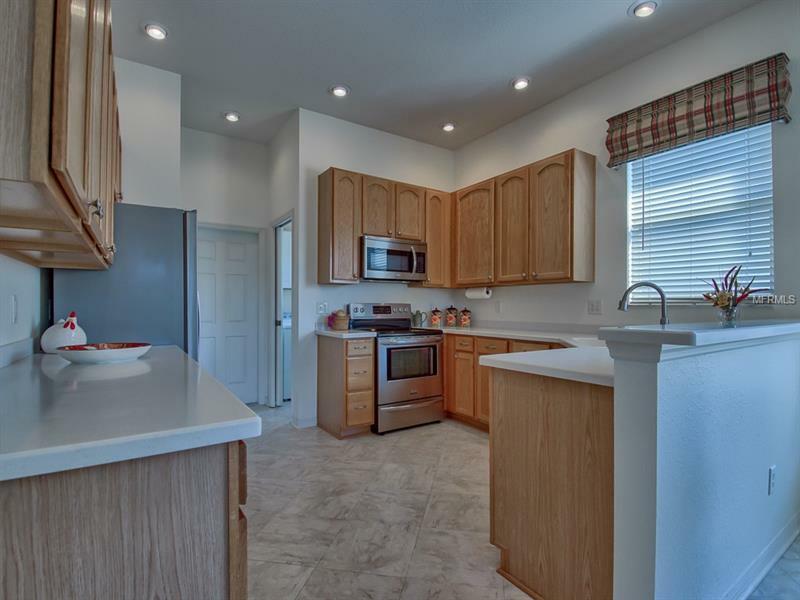 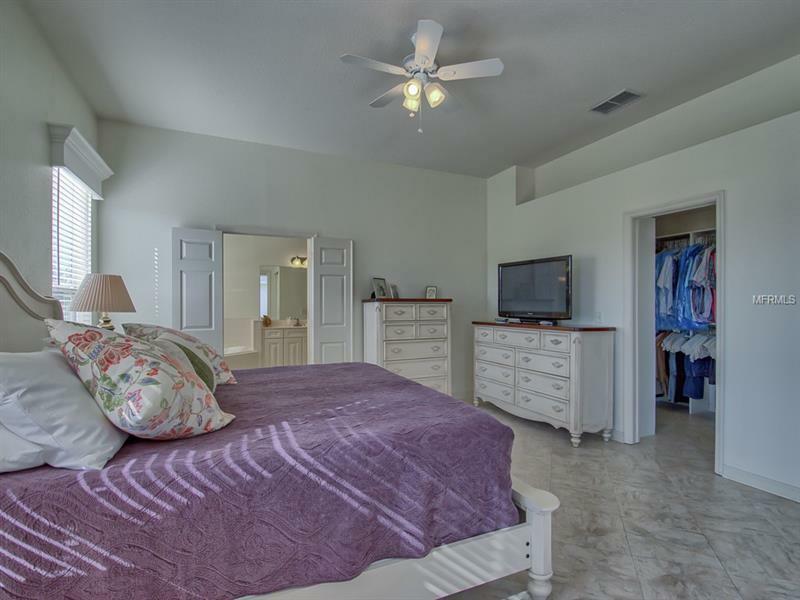 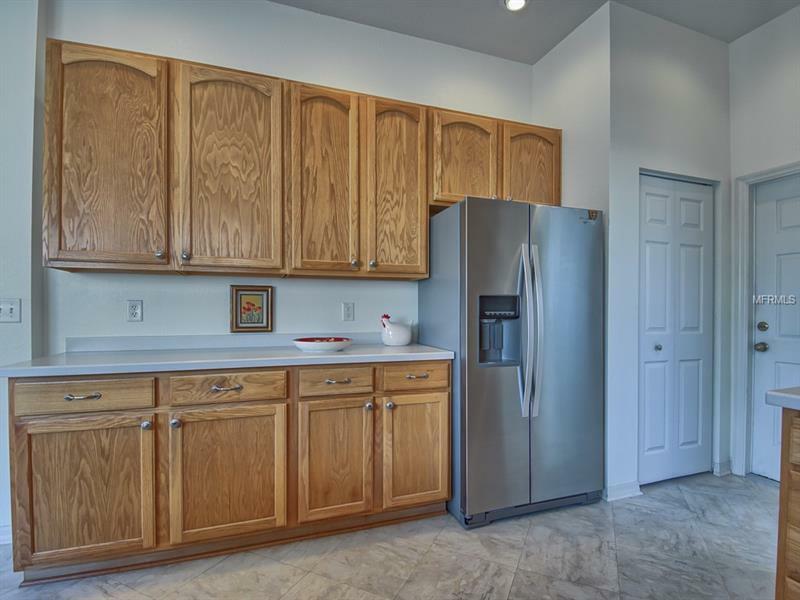 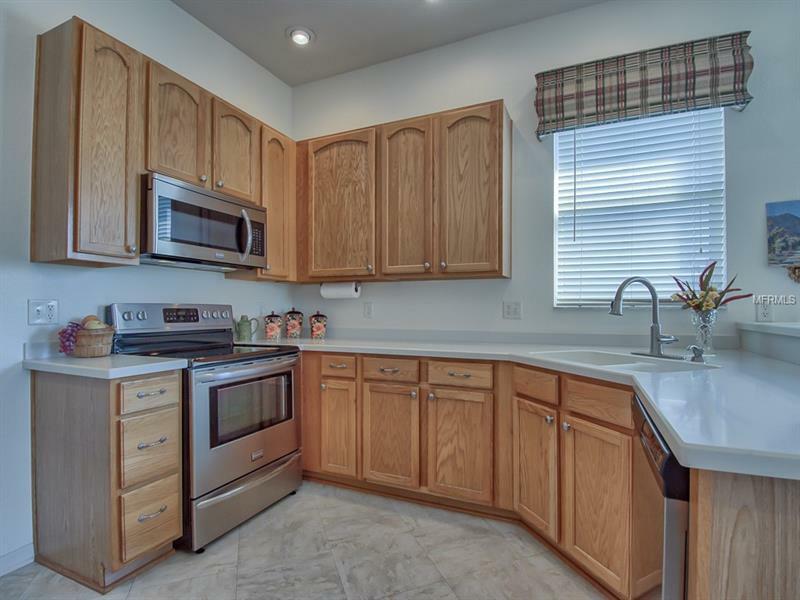 The finished interior has an Updated kitchen, larger pantry and inside laundry. 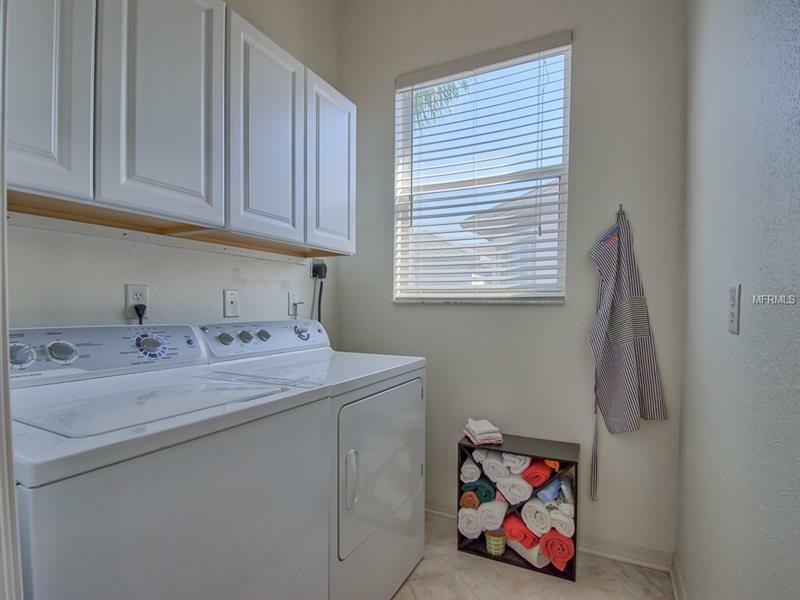 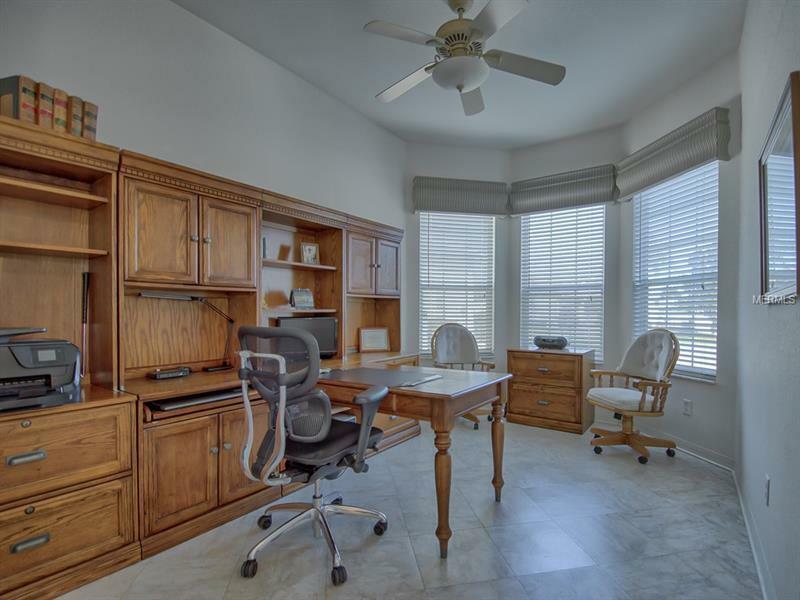 The OVERSIZED 2 car garage includes a laundry sink, room for a golf car, as well as a workbench and access to attic. 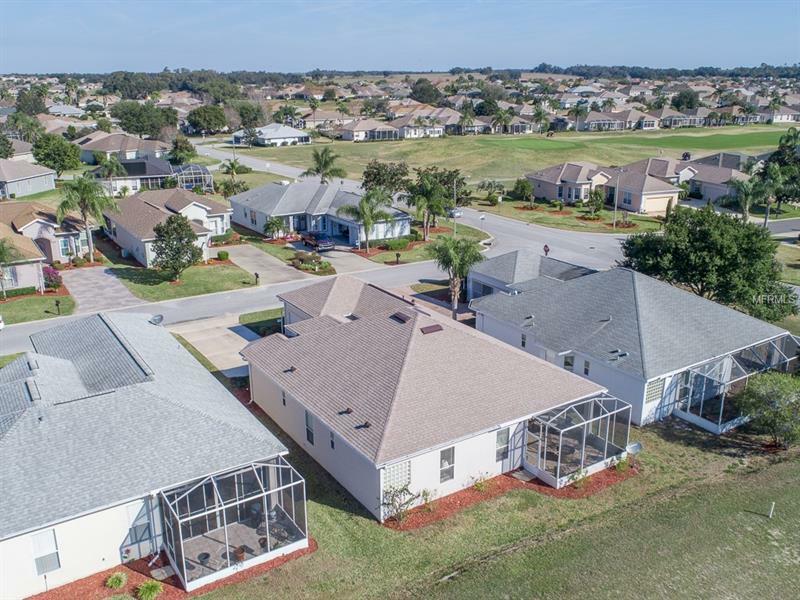 Major replacements include Appliances (2015), Floor Covering (2015), HVAC (2010), Exterior paint (4/2016), and Roof (12/2018). 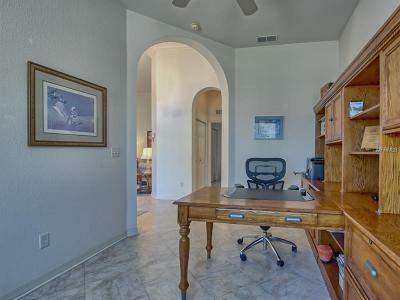 Amenities Additional Fees: GOLF AND SOME CLUBS.